A Guide to Recovery, second edition by Cheri Barton Ross, Jane Baron-Sorensen. This updated edition of Pet Loss and Human Emotion is a step-by-step guide to leading clients through this special kind of grief. 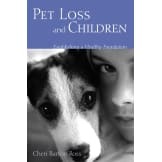 Includes resources and a section on pet loss and natural disasters. • As society accepts that grieving over the death of a loved one is not only normal, but healthy and necessary, grieving over the loss of a pet is often seen differently. Expressed feelings often go unvalidated when in truth, pet loss is a unique form of grief that can be quite intense and debilitating, increasing an individual's vulnerability to subsequent stress and leaving them feeling isolated and misunderstood. • Pet loss needs to be addressed by therapists and others in the helping professions, to better enable them to help their clients through the loss of their companion animals. 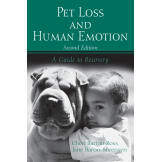 This unique guide is written for all professionals helping clients deal with the loss of a pet, and serves as a practical introduction to the field of human-animal bonding. Citing several case studies, it describes various techniques for helping clients when the bond with a pet is broken. • Published January 23rd 2007.